Location! Location! Location! 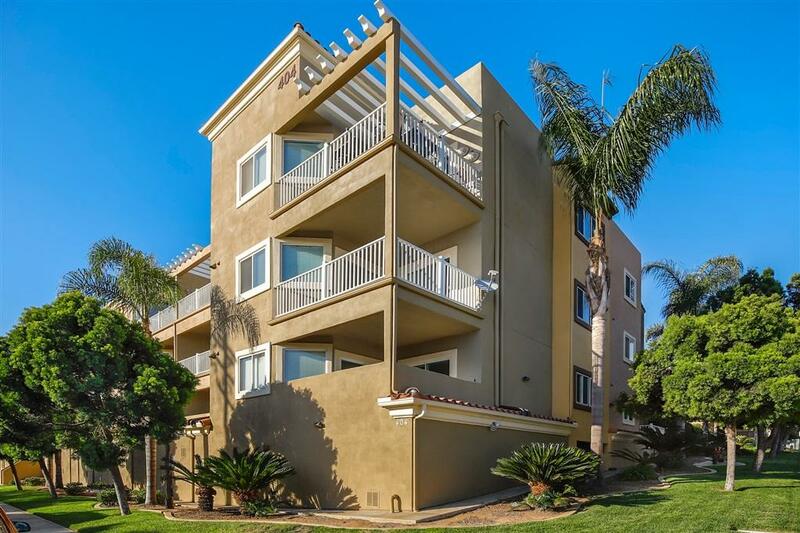 Well-maintained second floor condominium unit in Summit Village. Property features an open floor plan, cozy fireplace, recessed lighting, trey ceilings and gorgeous hardwood floors throughout. Fresh neutral paint, and large dual pane windows bask the home in an abundance of natural light. Private balcony with slider access just off the living room and master bedroom with peek-a-boo ocean views. Open concept kitchen features crisp white cabinetry, sleek granite countertops, mosaic tile backsplash, new stainless steel appliances, plus breakfast bar counter height seating open to the living area. A spacious master with its own en-suite bath and full size washer and dryer inside the unit. Unsurpassed community amenities including a sparkling pool, spa, clubhouse, gym, dog run, and underground parking with an oversized two-car garage. Conveniently located, just minutes away from the water, shopping, dining, parks, Interstate 5 and so much more. DonÃ¢â‚¬â„¢t let this opportunity pass you by!